Arlington County appears ready to move forward with selling Rosslyn Highlands Park to a developer in exchange for a new fire station, and some residents are protesting the deal. 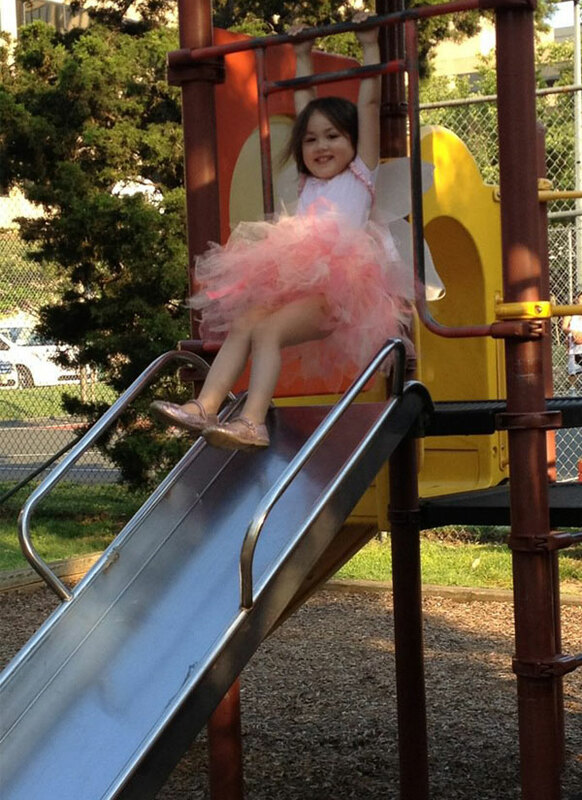 This Saturday, a new group called Friends of Rosslyn Highlands Park will host a rally at the park (1555 Wilson Blvd) to try to garner support and more signatures for its petition to the Arlington County Board. The rally will run from 10:00 a.m-noon and the group says it has invited all members of the County Board and the six announced candidates to attend and listen to park advocates’ concern. Of particular concern to the group: the revelation that Arlington signed a letter of intent with developer Penzance to trade the piece of land for a new fire station in January 2013, six months before the Western Rosslyn Area Planning Study (WRAPS) was launched. 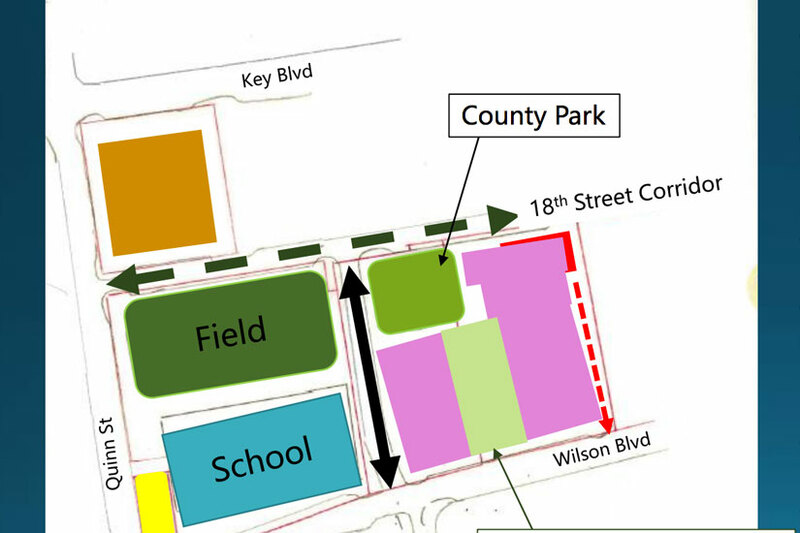 The WRAPS Working Group was formed by the County Board to determine the best mix of uses for the area between 18th Street N., Wilson Blvd, N. Quinn Street and the edge of the 1555 Wilson Blvd office building. The WRAPS group has met regularly since the summer of 2013 and the County Board will vote on the area’s future next month. The park currently includes a small playground, basketball court, parking lot and some open green space; a total of 30,182 square feet. It’s adjacent to a 45,000 square foot playing field behind the Wilson School that will stay in place when the site becomes the future home of H-B Woodlawn. 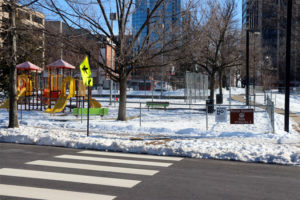 The proposal that county staff recommended to the Board earlier this month would reduce county park space to 11,500 square feet, but add a publicly-accessible plaza in between new high-rise, mixed-use office and residential buildings. The proposal also calls for Penzance to construct a N. Pierce Street extension between Wilson and 18th, even though some residents said they preferred an extended N. Ode Street, slightly farther east. County staff say Ode Street would interfere with traffic from the new fire station and the new school. While preserving open space and parkland has been a stated County Board priority, the panel has made it clear that it would be willing to sell the land in exchange for fulfilling other priorities. Residents say not only is the county selling one of the last remaining green spaces in Rosslyn, but it’s not even getting a good deal. 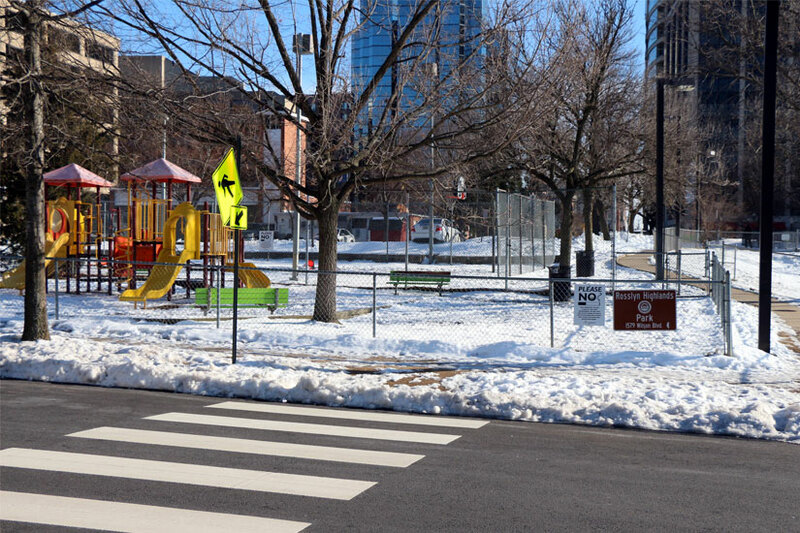 Some of county staff’s proposals for Rosslyn Highlands Park’s replacements include more urbanized versions of playgrounds, or basketball courts integrated with plaza seating like the new plaza on 19th Street N. But the Friends of Rosslyn Highlands Park say it just won’t be the same as the park they’ve been bringing their children to for years.